Dr. Earl Mummert graduated from Auburn University School of Veterinary Medicine in 1977 with a special interest in surgery. Through the years he has gained the experience to perform many surgeries encountered in veterinary practice with expertise and generally excellent outcomes. Some of the more common surgical procedures listed above are also performed by Dr. Mummerts’ associate veterinarians. If your pets’ needs are outside our area of surgical expertise you can be assured that we will refer you to a board certified veterinary surgeon for further evaluation. 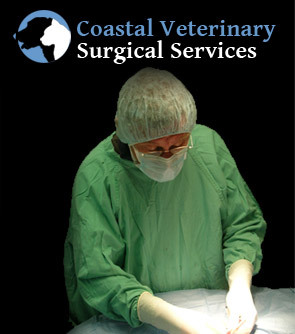 Our surgeons are assisted by several veterinary nurses with over 15-20 years of experience. They are keenly attuned to anesthetic safety, pain control, sterile procedure, patient monitoring, patient recovery and aftercare. 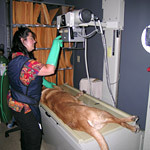 Everyone at CVSS loves pets and we want your pet to have the same excellent outcome that we would desire for our own. Please call 860-449-1873 to arrange a consultation. After your pet is examined you will receive the doctors' recommendation and a comprehensive estimate of the surgery and follow-up care needed. If you choose to proceed with surgery your initial consultation fee will be credited against your final invoice.